CES is, of course, the place to catch the newest tech trends and coolest products. But what really brings us back to CES year after year is the opportunity to sit down with advertisers and marketers to get a better understanding of how their business objectives are evolving, and what potential solutions they’re evaluating to meet those objectives. Nativo CEO Justin Choi at Brand Innovators' Future of Publishing and Monetization event. We’re in the midst of a seismic shift. Strategies that marketers and media agencies traditionally depend on to engage their audiences are complicated by concerns about brand safety, consumer privacy initiatives, and difficulty in measuring conversion rates and tying those numbers to campaign goals. In addition, wanting to test the ever-increasing array of new channels and mediums in which to advertise can make it easy to lose sight of campaign goals. For example, marketers are investing in branded content more than ever before, but managing, scaling, and measuring content programs can be challenging. How can I make it work harder? It’s clear that the future of advertising lies at the intersection of advertising and content. 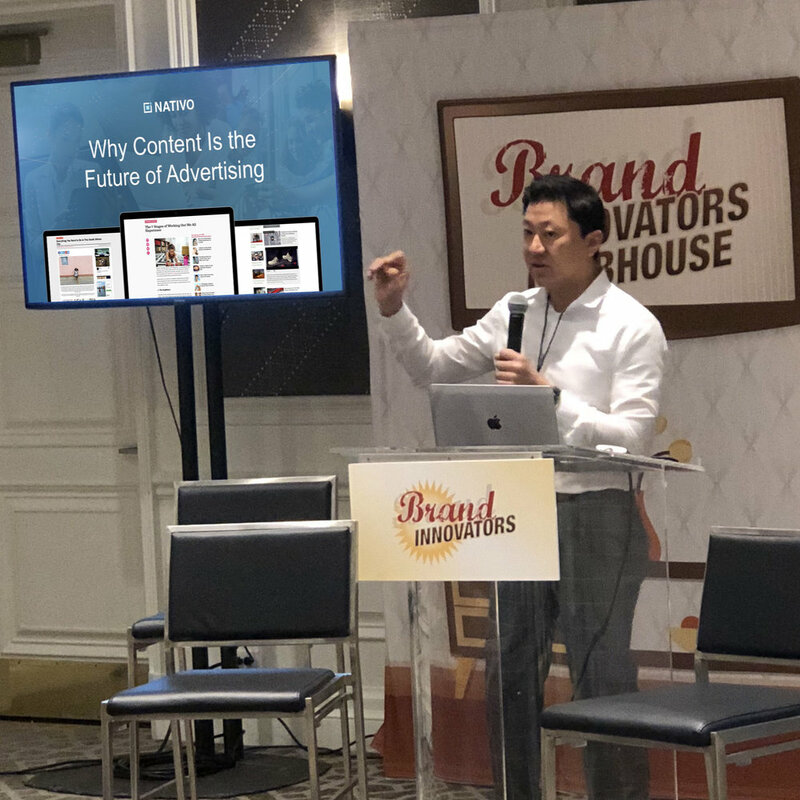 During his keynote at Brand Innovators’ Future of Publishing and Monetization event at CES, our CEO Justin Choi discussed this Age of Content, and gave a sneak peek of a new solution we’re unveiling this year. This solution will help brands make their content marketing processes simpler and more efficient and enable meaningful and actionable learnings for smarter decision-making and ultimately more successful campaigns. We’re excited to share more details soon. Stay tuned!